Angela Bowen was born to be a truck driver. 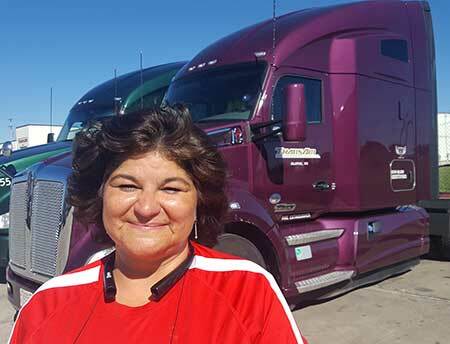 She is charismatic, friendly, and her confidence gives off the impression that she has been trucking for years. In reality, she only acquired her first truck 5 months ago. Angela loves her new career and her enthusiasm for the industry is infectious. “It’s a family,” she says, “I love the Dispatch team. They help in a jam – morning, noon, and night.” Her attitude and work ethic are why she was invited to do school visits for TransAm Trucking. Angela makes everything seem possible. She’s encouraging, patient, and a good role model. We appreciate her choosing to contract with TransAm Trucking.